Why reinvent the wheel when a classic is one of the best ways to warm up a cold, wet winter day? There are about as many Oatmeal Cookie Recipes out there as there are oats in a tube of Quaker Oats, but it's the original that everyone remembers from childhood. Enjoy the recipe below, and please share! Drop dough by rounded tablespoonfuls onto ungreased cookie sheets. Bake 8 to 10 minutes or until light golden brown. Cool 1 minute on cookie sheets; remove to wire rack. Cool completely. Store tightly covered. 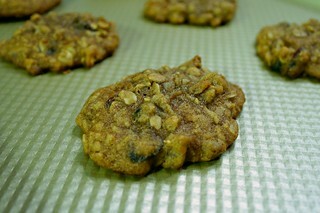 Variation: Bar Cookies: Press dough onto bottom of ungreased 13 x 9-inch baking pan. Bake 30 to 35 minutes or until light golden brown. Cool completely in pan on wire rack. Cut into bars. Store tightly covered. 24 BARS.